The bone healing process has three overlapping stages: inflammation, bone production and bone remodeling. Inflammation starts immediately after the bone is fractured and lasts for several days. When the bone is fractured, there is bleeding into the area, leading to inflammation and clotting of blood at the fracture site. This provides the initial structural stability and framework for producing new bone. Bone production begins when the clotted blood formed by inflammation is replaced with fibrous tissue and cartilage (known as soft callus). As healing progresses, the soft callus is replaced with hard bone (known as hard callus), which is visible on x-rays several weeks after the fracture. Bone remodeling, the final phase of bone healing, goes on for several months. In remodeling, bone continues to form and becomes compact, returning to its original shape. In addition, blood circulation in the area improves. Once adequate bone healing has occurred, weight bearing (such as standing or walking) encourages bone remodeling. Bone generally takes six to 12 weeks to heal to a significant degree. In general, children’s bones heal faster than those of adults. The foot and ankle surgeon will determine when the patient is ready to bear weight on the area. This will depend on the location and severity of the fracture, the type of surgical procedure performed and other considerations. If a bone will be cut during a planned surgical procedure, some steps can be taken pre- and postoperatively to help optimize healing. The surgeon may offer advice on diet and nutritional supplements that are essential to bone growth. Smoking cessation and adequate control of blood sugar levels in people living with diabetes are important. Smoking and high glucose levels interfere with bone healing. For all patients with fractured bones, immobilization is a critical part of treatment because any movement of bone fragments slows down the initial healing process. Depending on the type of fracture or surgical procedure, the surgeon may use some form of fixation (such as screws, plates or wires) on the fractured bone and/or a cast to keep the bone from moving. During the immobilization period, weight bearing is restricted as instructed by the surgeon. Once the bone is adequately healed, physical therapy often plays a key role in rehabilitation. An exercise program designed for the patient can help in regaining strength and balance and can assist in returning to normal activities. 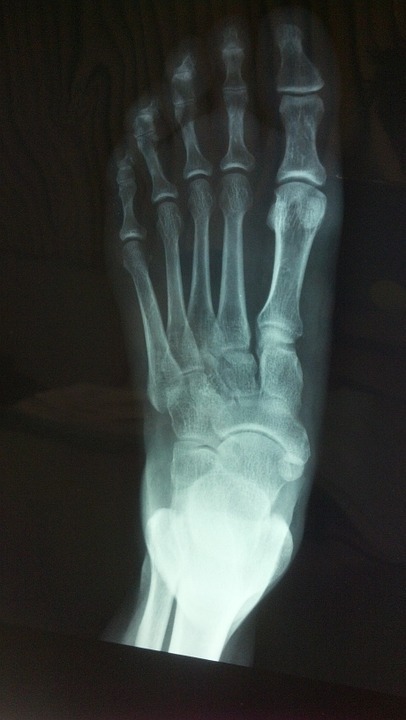 If the bone is not healing as well as expected or fails to heal, the foot and ankle surgeon can choose from a variety of treatment options to enhance bone growth, such as continued immobilization for a longer period, bone stimulation or surgery with bone grafting or use of bone growth proteins.